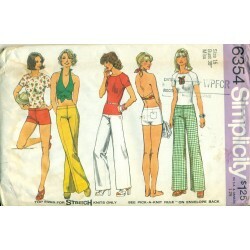 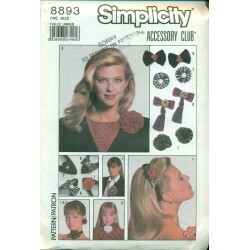 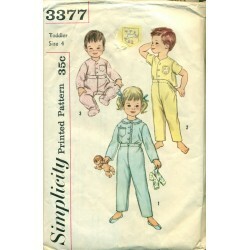 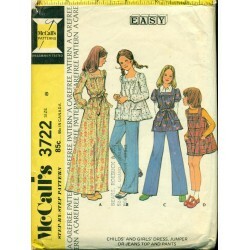 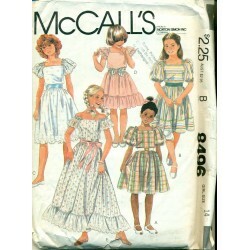 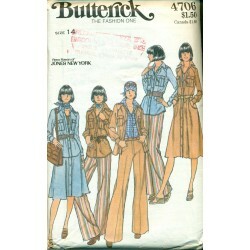 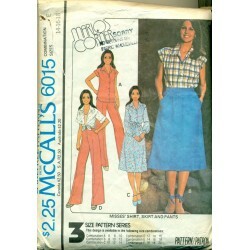 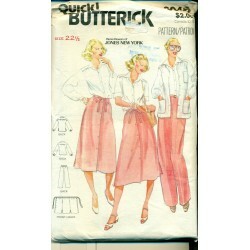 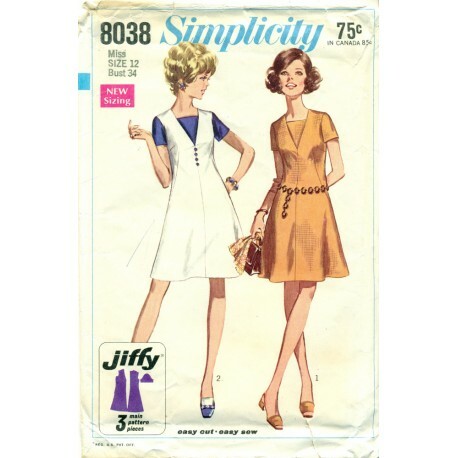 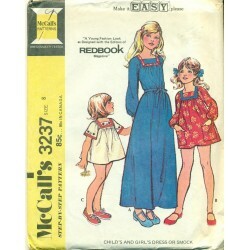 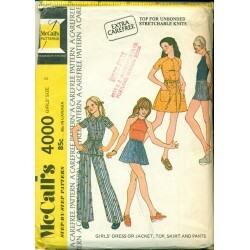 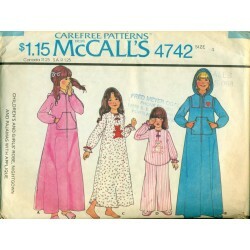 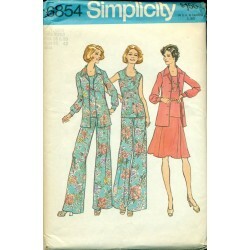 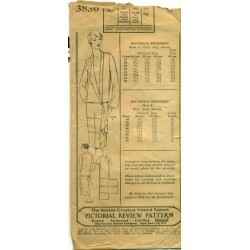 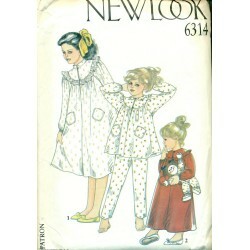 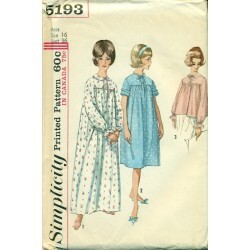 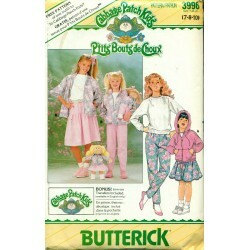 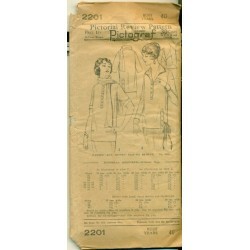 Jiffy sewing pattern from Simplicity and the 1960's! 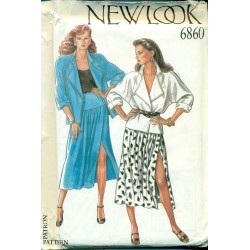 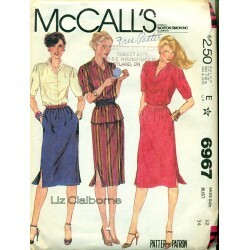 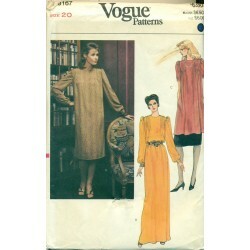 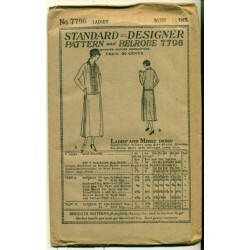 Sew a nice women's dress for daytime or office wear. 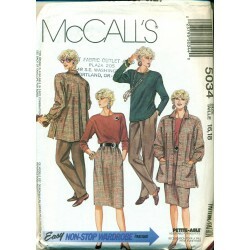 Pattern No. 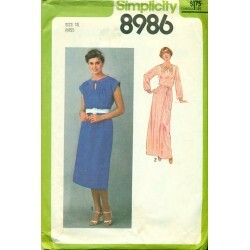 8038. 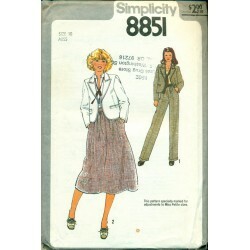 A-line style with short, set-in sleeves and slight flair to the skirt. 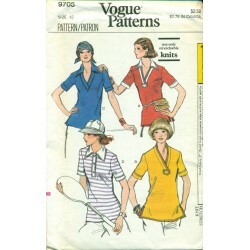 V-neck neckline with an inserted vestee. 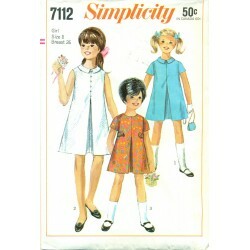 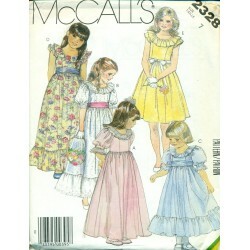 An easy cut and easy sew dress pattern. 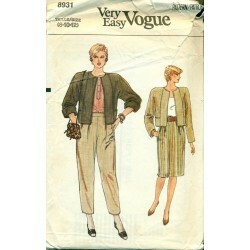 Looks great with the same or contrasting fabrics. 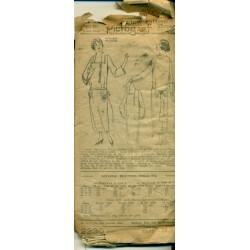 Condition : Used - checked and counted with all pieces here including the instructions. 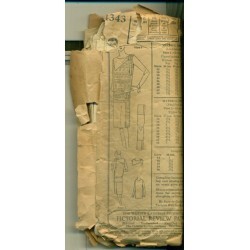 Envelope does have some wear.